Your TESDA Information Desk Online! 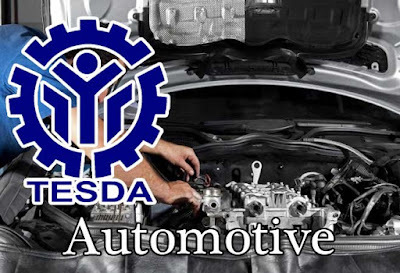 Another very useful course is highly being offered by Technical Education and Skill Development Authority (TESDA): Automotive Mechanical Assembly NC II. This program deals with the inspection, maintenance, and reparation of cars and light trucks. This course will train you in installing mechanical parts into automotive vehicles. This course is also designed to provide basic and common skills to equip individual with operational skills in automotive mechanical assembly. Moreover, it aims to educate bona fide individuals who are willing to learn about mechanical parts installation procedure. Qualified graduates of Automotive Mechanical Assembly NC II may find employment as an automotive mechanical assembly technician. Students who are enrolled in the Automotive Mechanical Assembly NC II course are required to undergo a Competency Assessment before graduating. A National Certificate (NC II) will be issued to students who passed this assessment. For more information, visit the nearest TESDA institution in your area and ask for the desired Intel or you may visit the official website of TESDA. Learn more about Getting a Certificate in TESDA. Automotive Mechanical Assembly NC II takes a minimum of 480 hours to complete. Some TESDA-Accredited institutions may require you to complete Automotive Mechanical Assembly NC II before being allowed to take Automotive Mechanical Assembly NC III. With experience in basic machining..